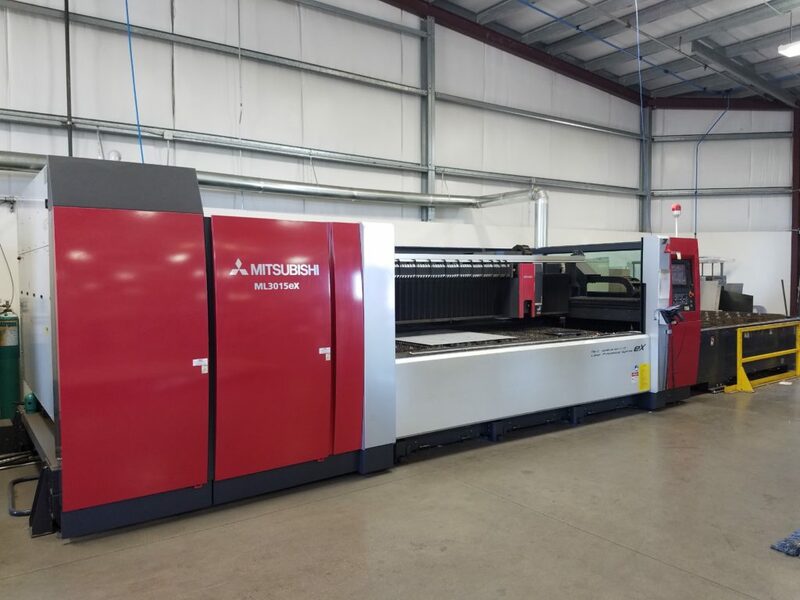 Mitsubishi ML3015EX – 4500 Watt laser cutting system with dual 5’ x 10’ pallets. Maximum material thickness of 1’’ carbon steel, 1/2″ stainless and 3/8” aluminum. Material types include stainless steel, mild steel, aluminum, titanium, plastics, fiberglass, leather, ceramics as well as many other materials. Also able to cut boxes and various shapes. D&B Sheet Metal has many other services we have utilized over the years for our customers, providing prices and quality customers demand such as: Machining Powder-coating, Silk Screening, Painting, Anodizing, Electro-polishing, Plating, as well as many others. We are anxious to review any projects you may have available.